How does the angle of the squat machine affect muscle activation? I've seen incline, decline, and horizontal squat machines at the gym. Does each one activate different muscles or are they effectively the same? These machines are both closer to leg press machines than anything else. They will both activate the quadriceps more than anything else, although the one that has you standing will activate a little more of your glutes. Having switched to free weights for squats I can definitely tell you that the squat machines you listed here aren't going to give you the same benefits and are a lot easier than squatting to parallel with a barbell on your back. Even a Smith machine limits the amount of core work that the squats would normally have otherwise. Seated squats are essentially leg presses. They hit your quads most, and barely anything else. Standing squat machine got a little bit more glutes, although it forced my back into an unnatural position. I didn't feel good after "sqatting" 360lb with that machine (just two bars from the max it would go). The machines did not follow a natural rhythm for my body movement. Because the barbell squats hit a whole lot more muscle areas, and in the proportions your body was designed to handle stress, I can't get the same poundage up yet as I did with the machines. The two squat machines you listed are very similar in the areas they hit. I have experienced knee problems using the squat machine at the top of the page when I do a full squat. No problems with the leg press machine. I used to squat 300lbs from a squat rack back in 1994, however, in 2012 I can only leg press basically 300 lbs. I do free squats in the squat cage with the Dave Draper top squat, but can only do about 115 lbs. i sometimes load up about 200 lbs on the squat machine and do quarter squats that are fun. Every apparatus in the gym helps. Still hope to at least squat 200 lbs again. I am 55 years old but still young for that age. Not the answer you're looking for? Browse other questions tagged squats machine or ask your own question. Should one generally avoid machines in favor of free weights? Does the Bulgarian split squat target the glutes better than normal squats? What do I do when goblet squat weight isnt enough? 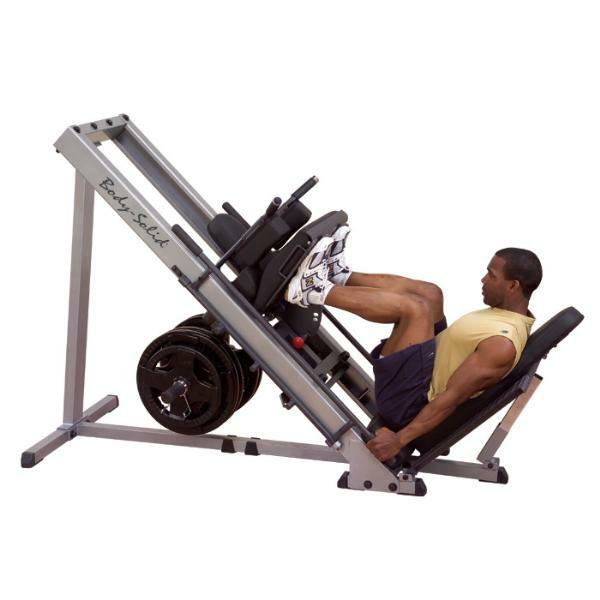 What's the difference between cable seated rows on a pulley, and using the seated row machine? How does someone position their arms on this Reverse Fly machine?